As part of the Kellogger's program, I receive gift boxes filled with yummy treats. 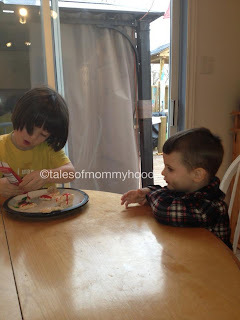 The latest box included the makings for holiday treats. 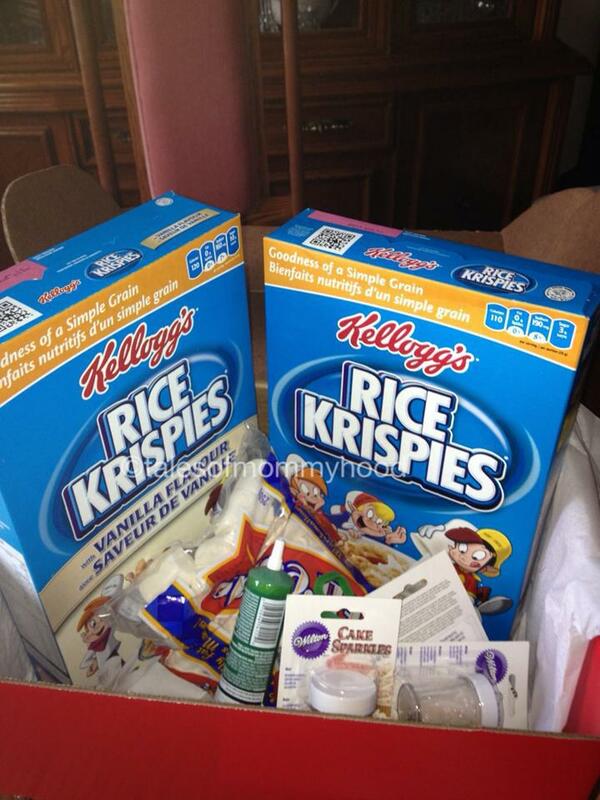 1 box Rice Krispies, 1 box Vanilla Rice Krispies, icing, cake sparkles and the makings for some delicious treats! The boys and I set to work - I did the stove work (you can make them in the microwave, but I prefer the stove top method). Once the mixture had cooled enough to work with, we made a few shaped treats. 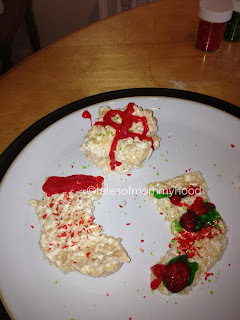 What is your FAVORITE Rice Krispies treat? Do you like them plain or prefer a variation? Love the treats!! So cute and a good idea. Wow, I forgot all about Rice Krispies squares!!! I haven't had them since I was a child. I need to make these. I love that you can shape them in any design that you like. Love the stocking ones! I bought the holiday ones this year but I must admit I just did them in a 9 x 13 pan. I still have some so I might try the Christmas stocking design. So cute! Awww yours are so cute! I'm going to try this instead of squares -- hopefully they'll turn out as nice as yours!